Suzuki Volusia Forums : Intruder Volusia and Boulevard Forum > Vendors > Motosport.com > When It Rains - What Motorcycle Rain Gear Do You Ride With? Not to take away from the original post, which contains great information, but your alternative sources of supply may include some brick and mortar stores in your hometown you might not ordinarily consider, such as hardware stores, sporting good stores, and maybe even Wal-mart. I use a matched set of rain jacket and pants, purchased separately from an Army-Navy store. Since I don't normally ride in the rain, I put up with poorer quality and fitment when the need arises. 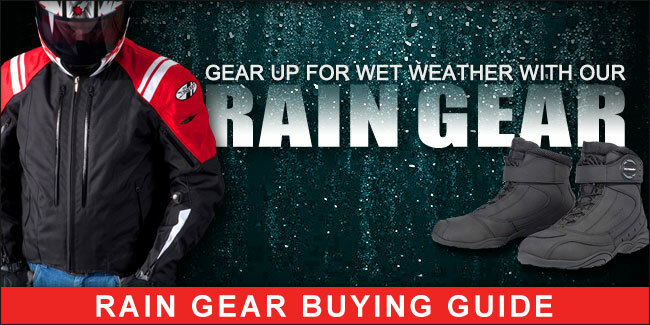 Don't rule out rain gear becase you don't want to pay for the best available.